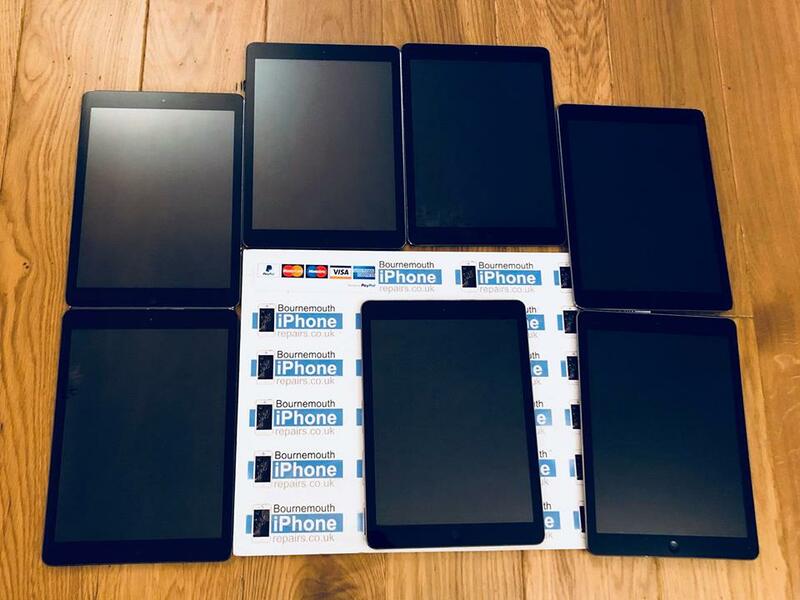 7 x iPad Air’s from a local school presented for repair. Top quality digitiser fitted using industrial strength adhesives! Turned around in 3 days. 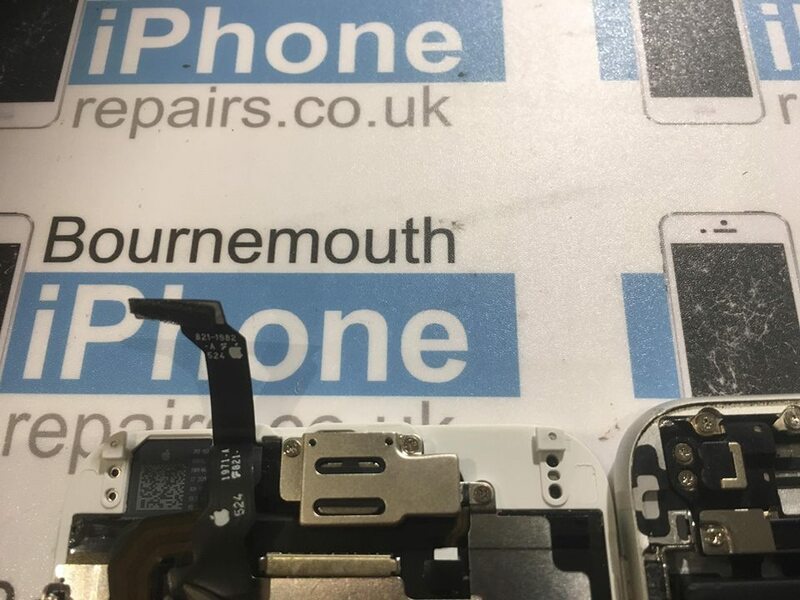 If you want to discuss bulk repairs, or how Bournemouth iPhone repairs can help keep your companies or schools Apple devices working as they should please send us an email. 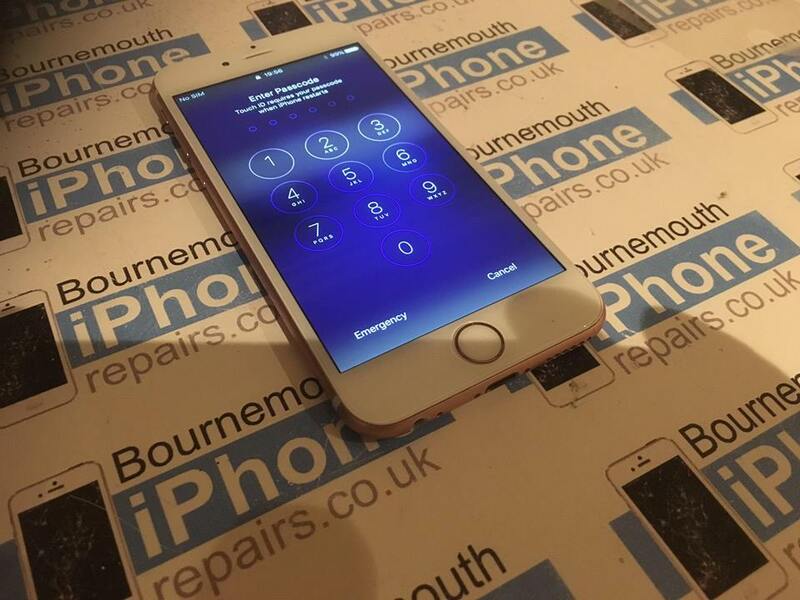 iPhone 5S Screen repair. Not seen one this smashed for a while. 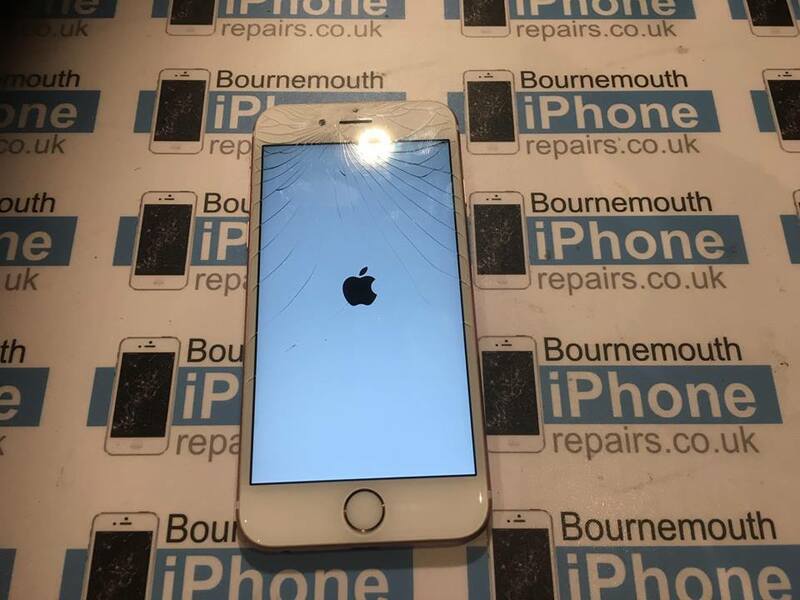 iPhone 6S emergency screen repair. 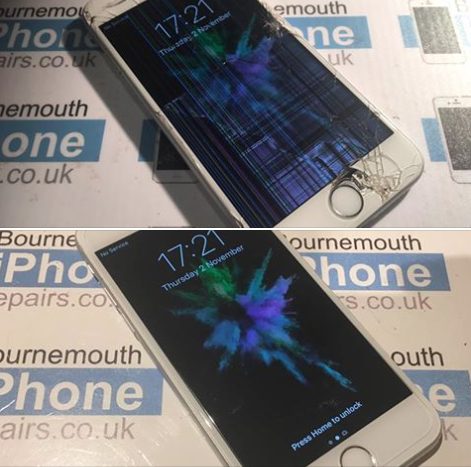 iPhone 6S emergency screen repair. £65 and original Apple parts. This is why we install screens assemblies with a genuine Apple LCD and touchscreen and not cheap Chinese copies. iOS 11.03 and future updates may render your iPhone useless if you’ve have a cheap Chinese screen fitted. 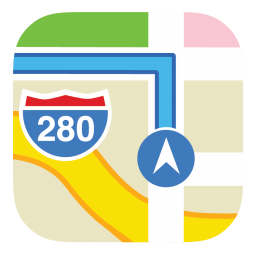 If your having problems with iOS 11.0 or newer, get in touch. We can help. iPhone 7 screen and battery replacement. 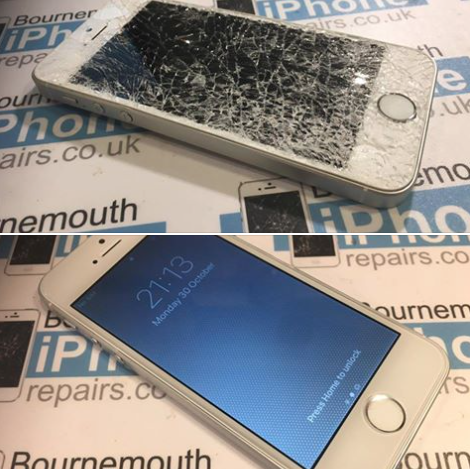 One of our repairs from today, an iPhone 6S Screen repair using a screen assembly with an original Apple LCD and touchscreen. Don’t settle for cheap Chinese copied screen assembled fitted by other shops. If your in any doubt ask to see the part before they fit it. You are looking for an Apple logo on the two flex cables. 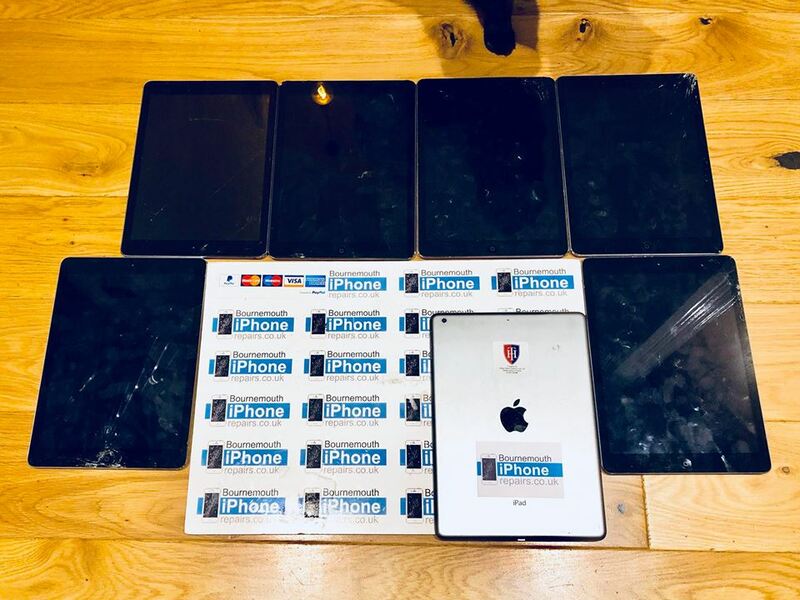 Our repairs are guaranteed to work with iOS 11. 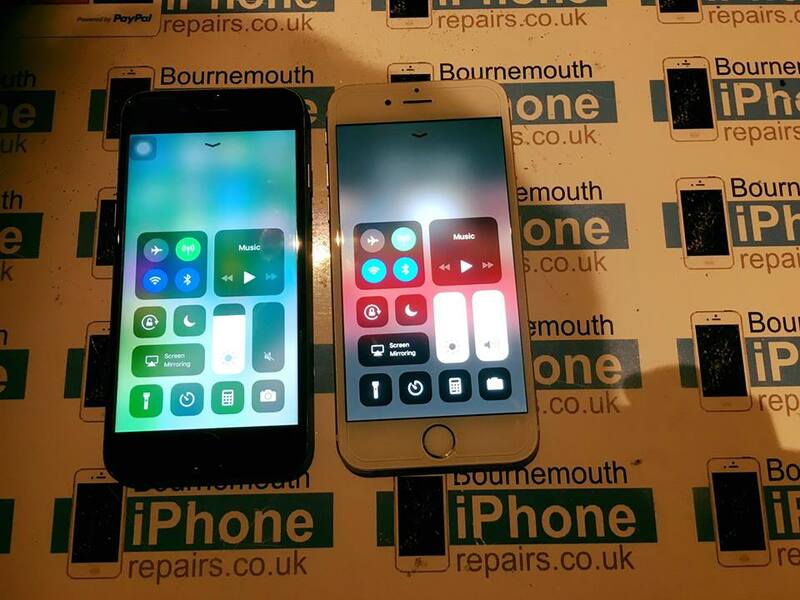 Did you get your iphone repaired by another shop and the touchscreen has stop working once upgraded to iOS 11? It’s probably due to them using the cheapest Chinese screen available. Come to us and we’ll fit a screen that will work. 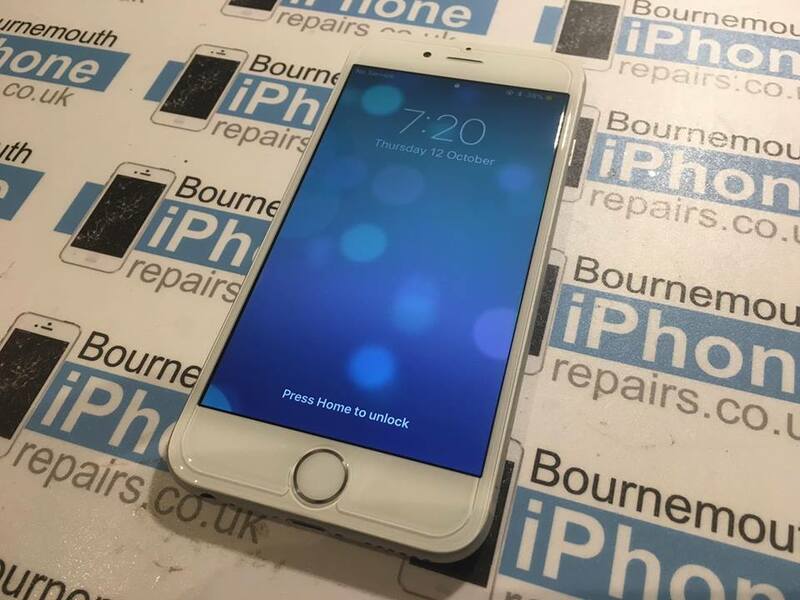 iPhone 7 screen repair using original parts. iPhone 6 – Poor battery life. Swelled and dangerous!